DesignFolio Plus is a beautiful and highly customizable portfolio theme great for displaying logos, websites, print work and much more. 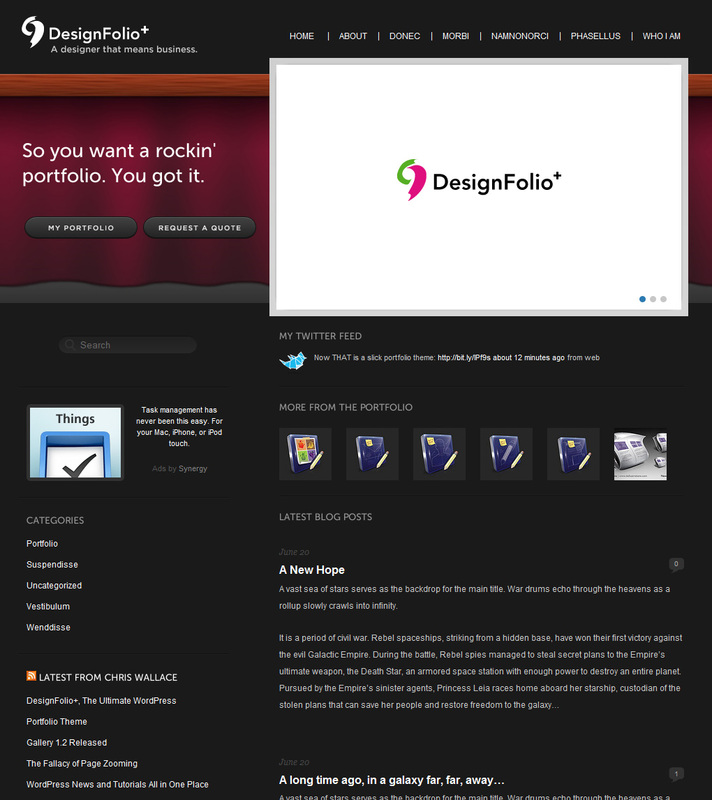 Using DesignFolio Plus, it is easy to set up an online Portfolio using WordPress. This is one of the most straightforward and easy-to-use Portfolio-style themes out there, designed and developed by popular WordPress theme developer Chris Wallace, whose high-quality themes speak for themselves. You can check out a live preview here or view the theme details on ThemeForest.net (currently available for $30). Now, a huge thanks to Firehost, the deal has gotten even sweeter. For 1 of the 5 lucky theme winners, they will receive 6 months of free secure hosting with no commitment to stay from Firehost. This is the perfect combination for anyone just starting out online or looking to do a serious upgrade. We are offering up not just one, but five theme licenses. So you have a greater chance of winning. Simply leave a comment below explaining why you would like this theme and how it would make your wildest dreams come true. The contest will run for one week and the winners will be chosen and then contacted via twitter (make sure and leave your twitter name) next Friday, July 31, 2009. Details about the hosting will be taken care of through Firehost. Good luck.